Tottenham are still well on track to finish in the top four of the Premier League after their draw with Chelsea, but a failure to buy some direct competition for Aaron Lennon in the January window could be the major threat to their chances. Despite having the likes of Niko Kranjcar, Steven Pienaar, Danny Rose and Andros Townsend at his disposal, Harry Redknapp opted to play Luka Modric on the right of midfield against Chelsea. Not only did this negatively impact the influence of Modric, but also left Spurs short of creativity in the middle of the pitch, despite Sandro putting in a competent display. Modric has to be played in the middle, not only to keep Spurs ticking, but also to keep the Croatian as happy as possible. It is the pace and directness of Lennon that makes him such a threat and these are not traits which naturally lend themselves to any of his potential replacements, particularly Pienaar and Kranjcar. Playing Modric wide effectively creates two midfield weaknesses and so a new wide player with pace is arguably required in the transfer window to cover for Lennon or Gareth Bale. 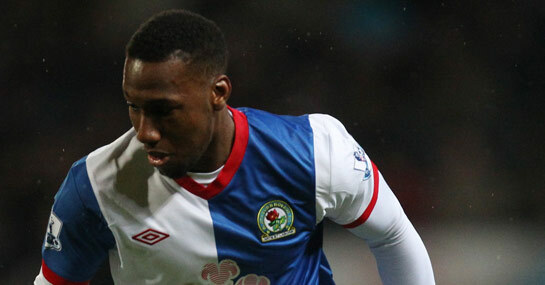 Junior Hoilett is certainly the logical target, given that Blackburn would welcome any money received for their prized asset, while his experience and knowledge of the Premier League may provide an edge over foreign names on the club’s radar. Coming from a smaller club, Hoilett would perhaps be content to sit on the bench and wait for his chance, while he is versatile enough to play behind the strikers if required or on either wing. His style is similar to both Lennon and Bale and could therefore fit right in to replace either, meaning that Redknapp does not have to change his tactics in any way. Tottenham’s odds are currently 4/9 to finish in the top four, but the capture of Hoilett could keep their fading title hopes alive. It is 20/1 that Spurs win the Premier League for the first time this season.